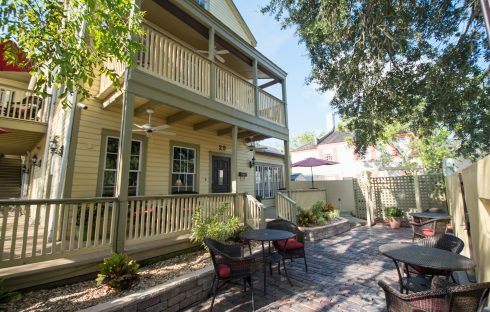 Agustin Inn is a beautifully remodeled St. Augustine bed & breakfast centrally located in the heart of St. Augustine’s Historic District. 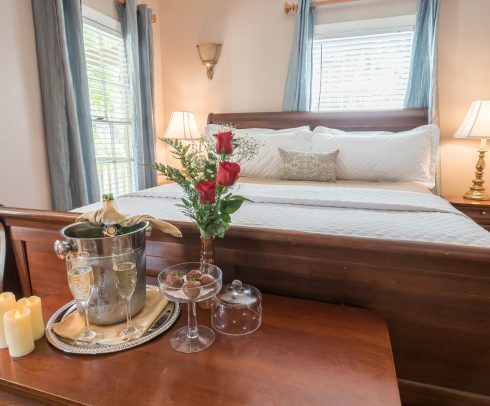 Perfectly nestled between St. George Street and Matanzas Bay, our St. Augustine B&B is only steps away from the Old City’s best restaurants, shops, and attractions. No matter where your adventures in St. Augustine takes you, the Agustin Inn is right around the corner with everything you need to relax. If you’re searching for hotels near St. George Street in St. Augustine, you won’t find better accommodations, a more delicious breakfast, or more convenient amenities anywhere else. At our downtown St. Augustine bed and breakfast, guests can enjoy a central location walking distance to fabulous restaurants, unique shopping, happening night spots, and historic attractions. 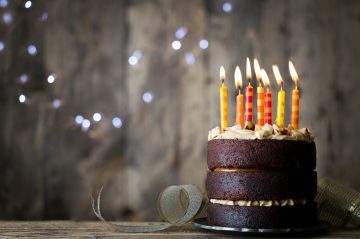 We are closer to more music, shopping, food, history, and nightlife than any other bed and breakfast in St. Augustine! The Agustin Inn offers 18 distinctively-decorated St. Augustine accommodations at a competitive price. For your convenience, cable TV and wireless internet are available in all rooms. Guests staying at our St. Augustine Inn will also enjoy unlimited access to our dining room, sunroom, outdoor garden, and wrap-around porch! 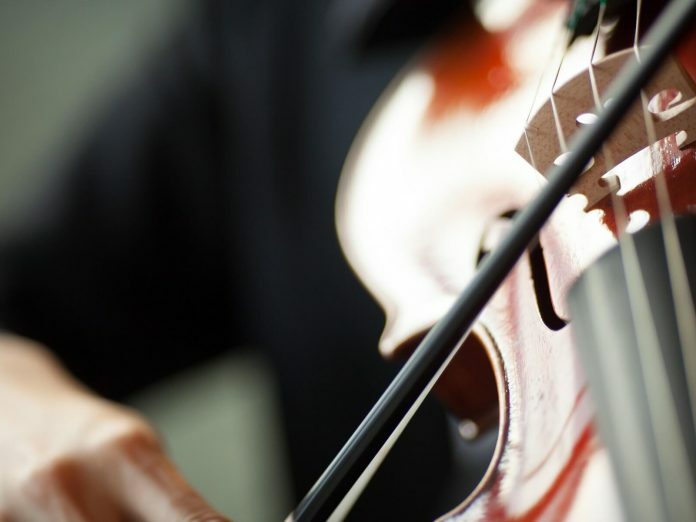 If you love hearing good music and being in the thick of it all, the Agustin Inn is the place to be! The Agustin Inn is your oasis in the center of the vibrant culture and nightlife of St. George Street. But we offer more than just a room! 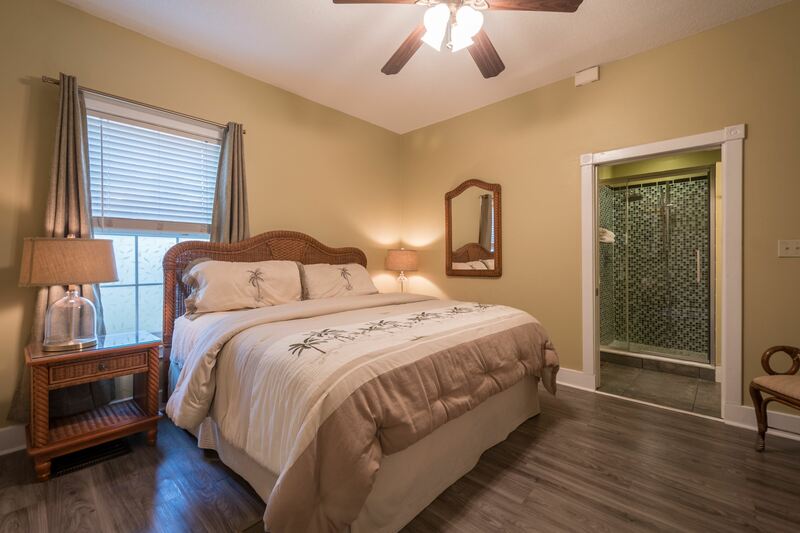 Our friendly and knowledgeable staff provides personalized service to ensure ultimate comfort and relaxation during your stay at our St. Augustine B&B. 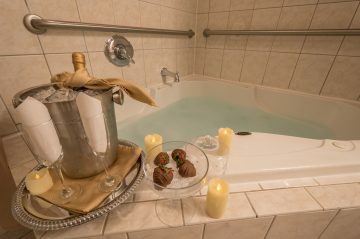 We offer a wide range of amenities and specialized St. Augustine vacation packages designed to make your stay a memorable one. Not sure where to go? Our innkeepers are eager to offer their recommendations and local knowledge of St. Augustine. 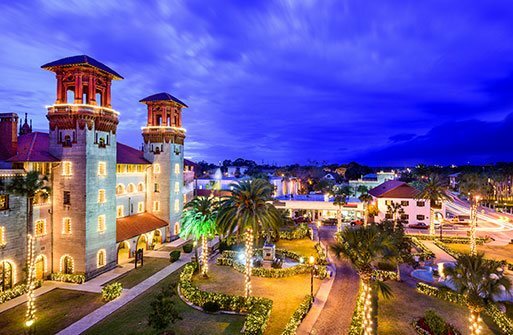 Many of the best attractions in town are just a few steps from our historic St. Augustine hotel. 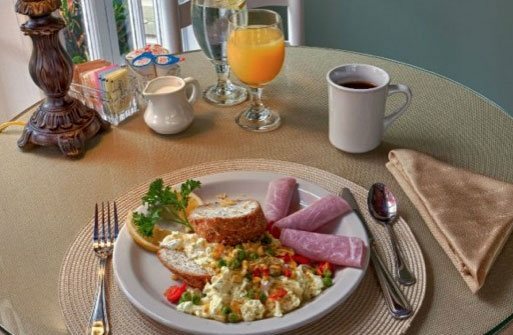 Our guests are treated to a delectable two-course breakfast each morning at our downtown St. Augustine bed and breakfast. We focus on offering large portions sourced from fresh and local ingredients. Delicious and wholesome, our complimentary breakfast is sure to get your day started off right. *We are happy to accommodate any dietary restrictions. 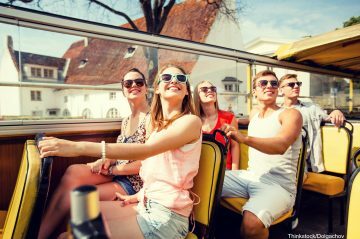 Our guests will enjoy a central location walking distance to fabulous restaurants, unique shopping, happening night spots, and historic attractions. Our hotel is within walking distance to St. Augustine’s historic district. We are convenient to all of the historical things to do in St. Augustine like the Saint Augustine Lighthouse, the Castillo de San Marcos, and the Dow Museum of Historic Homes, and Pat Croce’s Pirate and Treasure Museum.